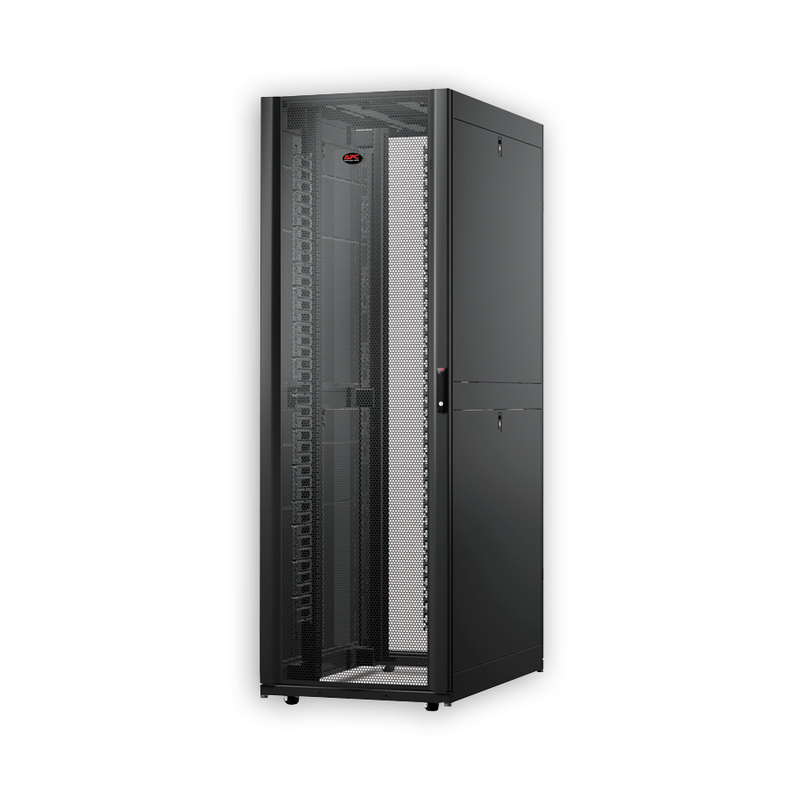 Standard enclosure for low to medium density server & networking applications. Compact width to optimize data center space. 42U height to easily roll through doorways. Weight Capacity (dynamic load) 2250.00 lbs. Feature-rich enclosures optimized for easy installation, managing cables, integrating power distribution, & maximizing airflow. 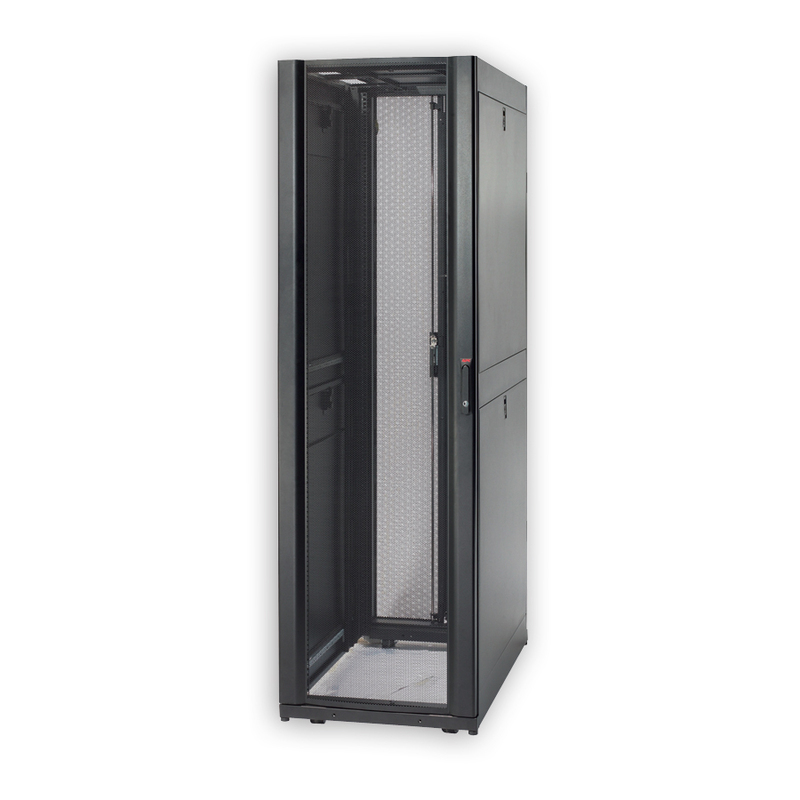 Tall enclosure with 48U spaces for additional equipment. Compact width to optimize data center space. 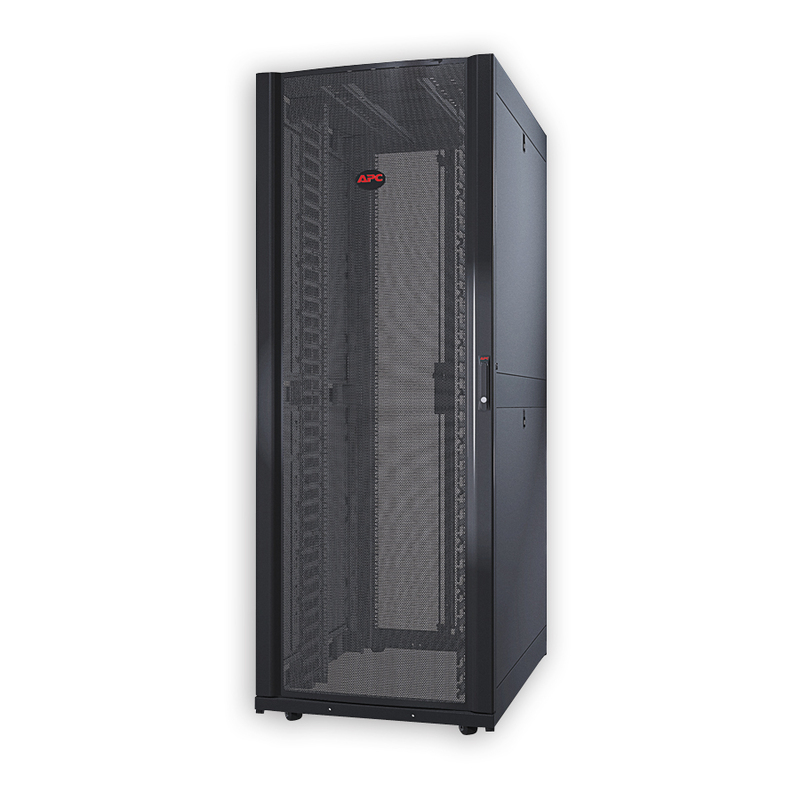 For low to medium density server & networking applications. 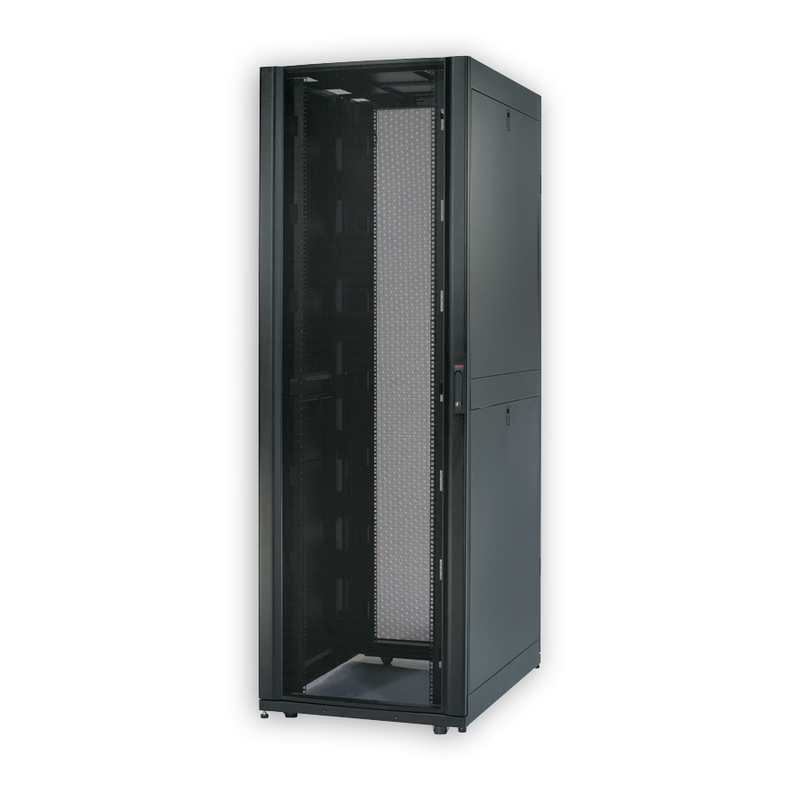 Wide enclosure with increased cable management options for high density server & networking applications. 42U height to easily roll through doorways. NetShelter SX Networking Enclosure expands APC’s superior IT enclosure line with improved support for high density networking applications. Integrated high density cable managers and improved cable access roof provide support for large cable bundles. When combined with the Side Airflow Duct Kit, the Enclosure ensures complete isolation of cold intake and hot exhaust air for large switches and SAN directors.